Prime Minister Narendra Modi and Congress President Rahul Gandhi paid his last respects to the CRPF personnel killed in the Pulwama terror attack at the Palam technical area on Friday evening by placing a wreath. The bodies of the slain troopers reached Delhi's Palam air force area on Friday evening. Modi placed a wreath on a platform placed before the coffins carrying the mortal remains of the troopers. 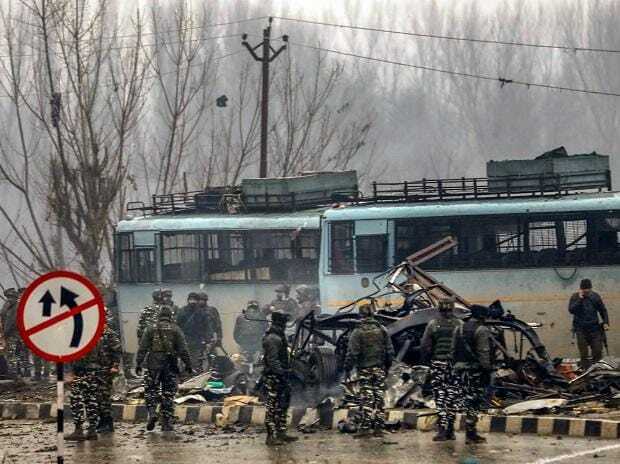 In one of the deadliest terror attacks in Jammu and Kashmir, at least 40 CRPF personnel were killed in a suicide attack in Pulwama district on Thursday. The Pakistan-based Jaish-e-Mohammad has claimed responsibility for the attack. The suicide bomber has been identified as Adil Ahmed, who officials said joined the Jaish in 2018. Modi termed the incident despicable and asserted that the sacrifice of the security personnel will not go in vain. Countries from across the globe condemned the act saying that they stand with India in combating the menace of terrorism.